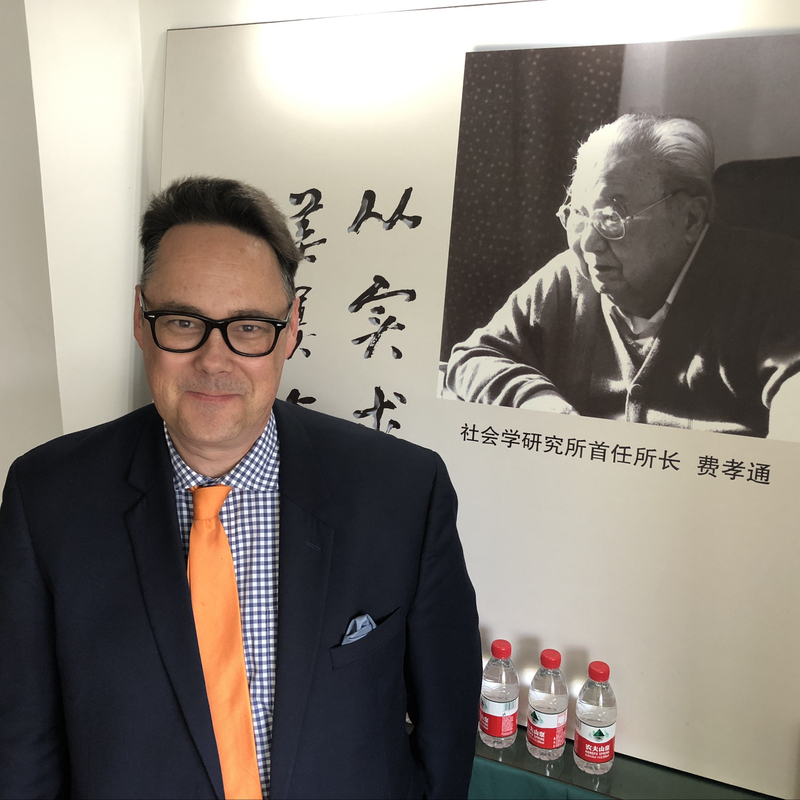 It will be a great semester at the Mathers Museum of World Cultures. 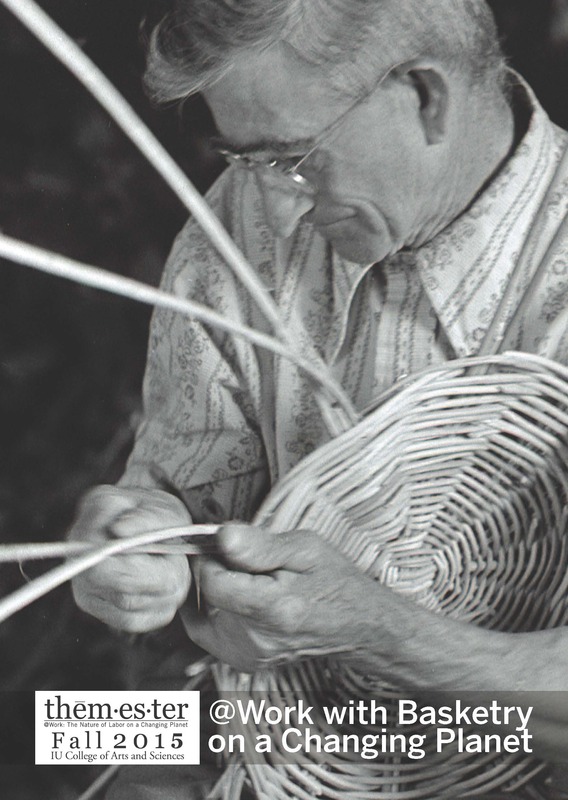 The first of our three At Work with Basketry on a Changing Planet exhibitions has already opened. 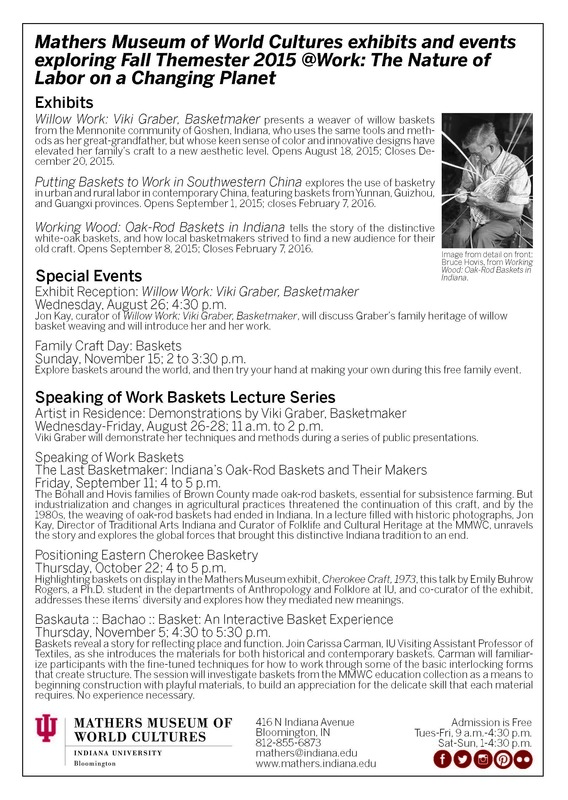 Willow Work: Viki Graber, Basketmaker opened on August 18, but it is just getting started. This coming week will feature Viki Graber visiting the museum and demonstrating her work as Artist in Residence. Come meet her and see her work 11 am-2 pm on Wednesday (26th), Thursday (27th) or Friday (28th). On Wednesday the 26th at 4:30, we’ll formally open the exhibition with a reception. Everyone is welcome!!!!! See the whole fall lineup below. The front and back of our postcard here are jpg files. If you have difficulty reading them, full details are on the museum website. Learn more about Viki Graber’s work on her website and Facebook page. The front of the At Work with Basketry on a Changing Planet postcard. The back of the At Work with Basketry on a Changing Planet postcard.